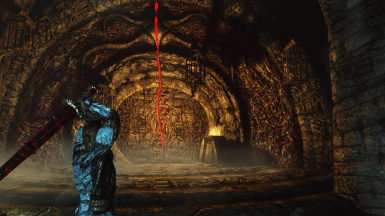 This patch makes DLC Dragonborn fully compatible with Requiem. Requires a new game when upgrading from version 2.0! Increased weight of Bonemold Armour, Bonemold Pauldron (Guard) Armour, Improved Bonemold Armour to 24, 27 and 24 respectively. Deathbrand Enchantment Effects Increase After Haknir's Killing. The brackets indicate the strength after the murder. 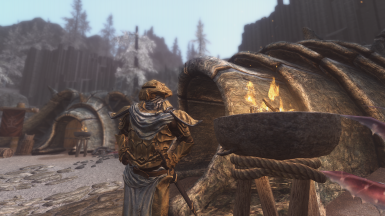 The amount of weight that the Dremora Butler can carry has been increased from 350 to 750. Removed the vanilla bonus for wearing a set of armor. Removed the vanilla perk on upgrading equipment from Dragonborn. Ash Rune no longer causes damage. Fixed recipe of Nordic Arrows of Shock. Now, to create a new Stalhrim equipment necessary to complete the quest "A New Source of Stalhrim". Fixed a bug with the early appearance of the Cultists. Fixed a bug with the lack of Cultists' Orders. Light Chitin and Light Stalhrim Armor is now better protected from arrows. Now all Ancient Chests have lock with level "Expert". Fixed description of the Ash Rune. Reduced damage of Stalhrim Katana. Increased cost of "Ash Shell" and it is an expert spell now. Improved enchantment of Storm Fang. Reduced weight of Albino Spider Pods. Increased damage of Burned Spriggans. Increased health of Thalin Ebonhand. Increased speed of Lurker's Split. Reduced damage of tentacles in the Apocrypha. Reduced Lurker's resistance to magic. Fixed a bug with the death of Miraak. Increased speed of Seeker's spell projectile. Fixed a typo of Zahkriisos Mask. Deathbrand Armor is now really gives health. Fixed a bug with Glover's trade. Reduced price of Nordic equipment. Fixed shortcomings with some shields. 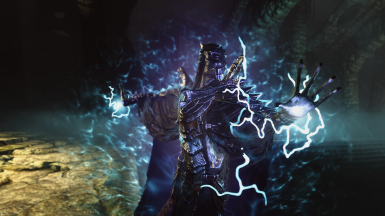 Miraak now has a unique attacks. Increased production of Netch jelly. Nchardak's Dwarven Centurion is now a mini-boss. Searchers no longer take extra damage from sneak magical attacks. Fixed effect of Potions of Well-being (Surpassing). Vendor chests now placed in the world with Master locks. Fixed the requirements for the creation of a Nordic equipment. Conjuration perks now affects Bound Dagger. Nethes and Seekers now have 80% resistance to poisons. Now, to receive blessings of the Daedra, you need to complete their quests. Removed dirty and unnecessary changes. Again. Fully reworked arrows and bolts. Deleted bonus armor effect in Deathbrand Armor. Removed dirty and unnecessary changes. Increase the effects and costs of Potions of Well-being. Reworked the effects of some alcoholic drinks. Rickling's spears now have weight. 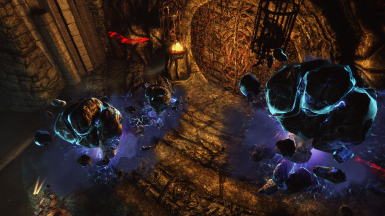 Increased the damage of Dwarven Ballista's bolts. Dragon Aspect's armor is now clothing. 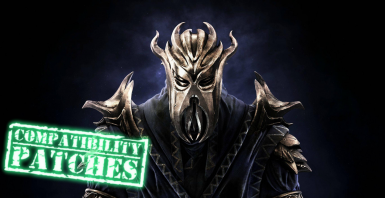 Miraak's Mask is now Daedric. Modified equipment of General Falx. Reworked enchants of Deathbrand Armor. Fixed a bug with weight and value of scrolls. Increased the prices of the spell tomes of Conjure Seeker and Poison Rune. Reduced loot in the Apocrypha. Changed effect of Miraak's Mask. Haknir's quest can now starts on 1 level. With the death of Miraak, you get an extra 20 dragon souls. Now you can not find gold on the body of Lurker. Reworked loot of some animals. Reduced Lurker's armor and they are again susceptible to Wabbajack. Many thanks to thetrader for assistance in finding shortcomings. Please report all found bugs and shortcomings. The damage from the traps is now huge and static. Renamed potion similar to the Requiem. The effect is protracted, not instant. Reworked the loot in the Apocrypha. Bandits and Guards now have classes: Marksmen, Archers, Swordsmen, and so on. Bandits have random race with a predominance of the Nords and Dunmer. Bandits have occasional random quality equipment, including Chitin and Bonemold. Seekers and Lurkers is now very serious opponents. 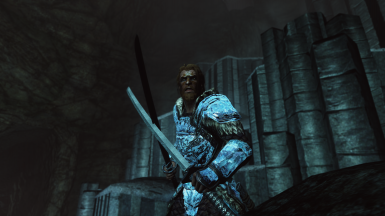 The main storyline Dragonborn should start after completing the quest "Blade in the Dark." Ingredients are now harvest in an amount of several pieces. Increased fines for crimes in Raven Rock, in analogy with the Requiem. Added recipes for destruction Nordic equipment to quicksilver ingots. Stalhrim armor and weapons now have a worse stats, but ALL enchantings 25% better. Added new weapons. Stalhrim: Battlestaff, Crossbow, Longsword, 3 kinds of magical staves, Katana. Nordic: Crossbow, Katana. And a lot of changes and innovations.